The Maritime Inn Port Hawkesbury is located just a few minutes from the waterfront, and just six minutes drive from the causeway connecting the Island to the mainland. They’re the perfect place to stop, rest, and enjoy fabulous Taste of Nova Scotia dining. Port Hawkesbury’s only Taste of Nova Scotia approved dining features a comfortable and relaxing atmosphere, and offers booths, patio seating, and seating suitable for groups. 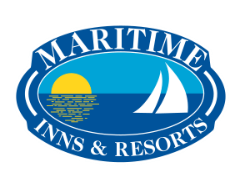 Maritime Inn Port Hawkesbury provides comfortable and contemporary lodging to suit your needs. Whether you’re with them on business, or staying as part of your vacation, they’re happy to offer a variety of accommodations to ensure a perfect fit.